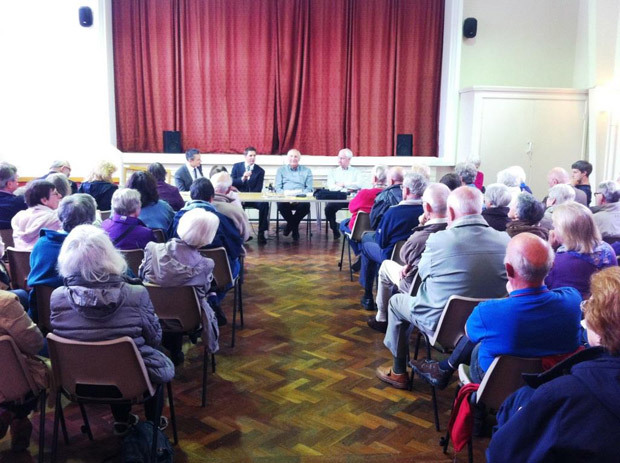 On Friday night over 60 residents gathered at St. Columba’s church to put their questions to representatives from First, provider of Crosspool’s 51 bus service. Almost 30 questions were taken from the floor and answered by First’s commercial manager Adam Timewell and business manager John Eardley. Adam and John have agreed to attend the next Crosspool Forum Open Meeting on 31 July to report back on their progress. This entry was posted in crosspool, meetings, minutes, safety, sheffield, traffic, transport and tagged 51 bus, charnock, crosspool, first buses, lodge moor, meeting, minutes. Bookmark the permalink.